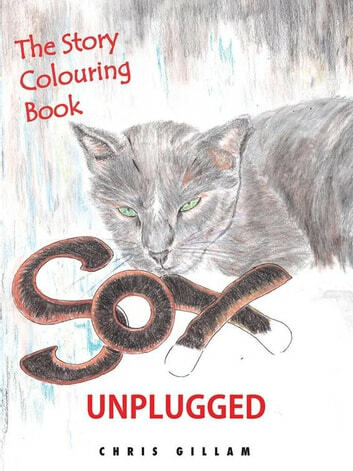 Sox Unplugged is both a story book and a coloring book, allowing the child to live itself into the story and putting his/her own color to it. Color therapy is widely used to assess the mood or perception of a child. Sox is a cat who is abandoned by his human family. He finds himself in a lonely environment of hunger, discomfort, cold, and the harsh realities of winter. Sox befriends other characters in his immediate environment who offer him advice, assistance, food, and street smarts to survive until he integrates into a new family. This story teaches us about honesty, integrity, reaching out to others, ego, self-pity, and brevity. Everyone falls in love with Sox. His honesty of emotion is overwhelming. It teaches us that it is okay to voice our fears and concerns in a gentle manner.